This would not include all cases of such impacts, since only the most acute cases involve hospitalization. It is likely that many more cases exist bit with milder symptoms. The study concluded that there is a clearer link between genital and urinary issues and fracking as compared to skin-related issues. The study also reported that as exposures to fracking in counties continued over time, there were increasing rates of hospitalizations for kidney infections, kidney stones, and urinary tract infections. The effect seems to impact adult women more than children and the elderly. Other studies have linked fracking to increased cardiovascular problems and respiratory problems like asthma. 2. Create millions of good, high wage jobs; and ensure prosperity and economic security for all people of the United States. 3. Invest in the infrastructure and industry of the United States to sustainably meet the challenges of the 21st century. 4. Secure clean air and water, climate and community resilience, healthy food, access to nature, and a sustainable environment for all. Really, aren’t these things just what we want for ourselves and for our children and grandchildren? Don’t these goals represent the kind of healthy, just, and fair world that we all want to see? Talk to folks you know about the Green New Deal. Get the truth out! Get the good news out! We can do this! Come to March 23 Summit and Help Build Solidarity! Yes, we activists often feel that our victories are few and far between. Big Oil and Gas are swimming in money and political power. What have we got on our side? First, we have the power of being right on our side. This isn’t being self-righteous. It just means that we are on the side – in the Movement—that is looking out for the greater, long-range welfare of the people. We want to protect people’s health and safety, the integrity of their communities, and the natural environment on which these communities depend. Big Oil and Gas will say they serve the people by bringing them cheap fuel. But, as we know, for them, the real bottom line is the Bottom Line—maximize profits no matter what costs and harms they have to shift on to the public. Second, given the reasoning above, I am convinced we have the people on our side—at least once they know and understand the whole picture—how their lives and the lives of their children will be affected by shale drilling, frack waste injection wells, ethane cracker plants, petrochemical plants, pipelines, compressor stations, and hamstringing green energy enterprises in Ohio like wind and solar. How to make it work for our side? 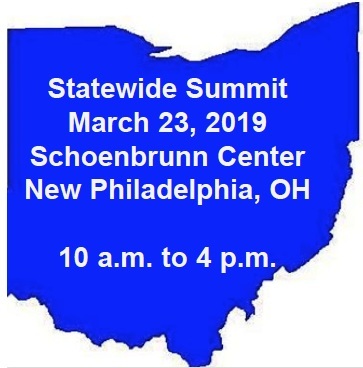 A good new beginning is to come together in New Philadelphia on March 23 for the Statewide Summit. The theme this year is “Building on Our Victories and Planning for More.” The idea is to come together, share the stories of our victories—even the little ones—and then reinvigorate our networks across the state and strategize for new and BIGGER victories. Creating a new level of SOLIDARITY in this way can really help us raise our game to a new level and clear the way for some new and bigger victories. For details on the Summit, return to the Home page & scroll down a bit. As FaCT and OHR volunteer visit various communities in Ohio, too often we hear that citizens do not want to “get involved.” We’re talking about communities, in some cases, that have been virtually occupied by the shale industry. We’re also talking about communities that have just been recently confronted with shale development challenges. Why does this attitude seem so widespread? The people in these communities have put forth various reasons. Some say it’s no use to go against the big money involved. Some point to the fact that state government never seems to act to defend the people and their communities. Some say it’s just easier to pick up and move on and move out if you can afford to do that. I certainly can’t offer any easy comfort to these folks. The industry does have a lot of money, and they often have governments in their pockets. And yes, if you see it coming at you soon enough, you might be able to pull up stakes and not lose too much financially. However, you can only run so far. You may find respite somewhere else for a while, but the shale industry keeps expanding its reach. And if it’s not drill pads, it could be frack waste injection wells, compressor stations, cracker plants, or pipelines that will threaten your peace and safety. So why not stand and fight? As one fighter in a small Ohio community said with regard to the injection wells in his area, “I may lose this fight, but I’m not going down without a fight.” Maybe if this fighting spirit spreads, maybe if the fighters stand together, just maybe we can win some of these battles. And remember, resistance in one community can be the model and the inspiration for resistance in other communities. More than ever, Ohio families and communities must adopt the fighting spirit and a spirit of solidarity with each other. We can learn from each other. We can encourage each other, and if we grow a statewide movement—perhaps even a regional movement—we can win. According to a report by The Intercept, there is apparently some effort to assemble a combination of private security and public law enforcement resources to disrupt potential protests against the Line 3 Pipeline in Minnesota, a project of the Canada-based Enbridge energy company. If constructed, Line 3 would pass through the territories of several Ojibwe bands in the northern part of the state. Documents obtained via a FOI request reveal that law enforcement is anxious about the prospect of protests against Line 3, fearing a repeat of the resistance at Standing Rock in North Dakota. Does this presage a repeat of the use of water cannons, rubber bullets, armored personnel carriers, sound cannons, and attack dogs against peaceful and unarmed protesters? For those concerned about First Amendment rights, as all of us should be, this looming threat of a public-private partnership on behalf of a private corporation is certainly alarming. According to a report in the Plain Dealer on January 30, voters in Toledo will be voting on February 26 for a Lake Erie Bill of Rights. The concept underlying the ballot proposal is that not only natural persons have rights but also nature itself has rights. The concept has already been adopted into law in places like Australia for the Great Barrier Reef. If passed by Toledo voters, this would be the first Rights of Nature Law in the United States. 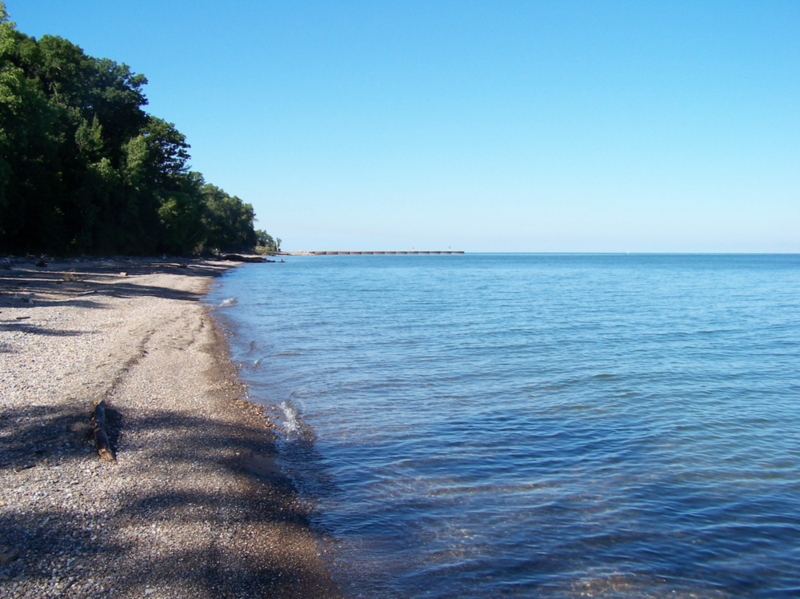 The proposed Bill of Rights “establishes irrevocable rights for the Lake Erie Ecosystem to exist, flourish, and naturally evolve.” This would elevate the rights of the community and its natural environment over powers claimed by certain corporations, such as industrial-scale agribusinesses that cause huge amounts of phosphorus to pollute Lake Erie. The impetus for this ballot issue are the harms that the western basin of Lake Erie has suffered from phosphorus pollution that fostered the growth of a massive algal bloom a few years ago, causing Toledoans the temporary loss of their water supply from the Lake until the algal bloom cleared off. If adopted by voters, advocates hope to use the Lake Erie Bill of Rights as a legal tool to help enforce protection of the Lake and its ecosystem. Obviously, this would also protect the health and safety of those who depend on safe water from Lake Erie. Several communities in Ohio have adopted similar legislation to protect themselves from Big Oil and Gas corporations that have threatened natural ecosystems on land, notably in connection with shale development. The success of this strategy is yet to be determined. It will be interesting to see how this strategy will work out in litigation.